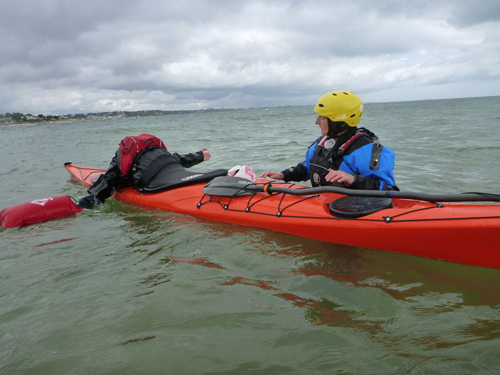 Last weekend Mark and I headed to Southern England to run one of our Kayak Immersion Weekends at Swanage in Dorset. 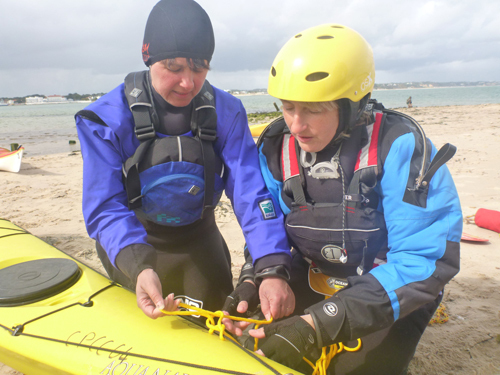 Although the weather was a bit gusty, we had a wonderful time instructing for the Chiswick Pier Canoe Club. 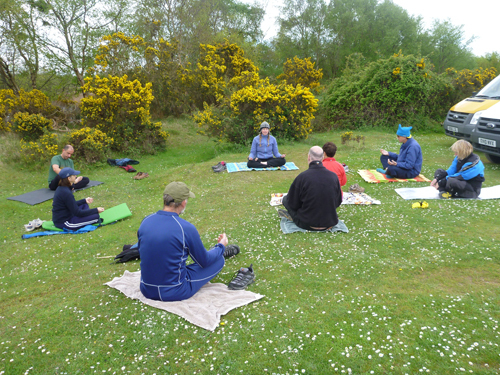 Both days started with Yoga for Paddlers, and throughout the weekend we took the group through Simplifying the Roll, towing exercises, Simplifying the Rescue, open water skills, exercises in group management, surf launches and landings and a few on-water scenarios. 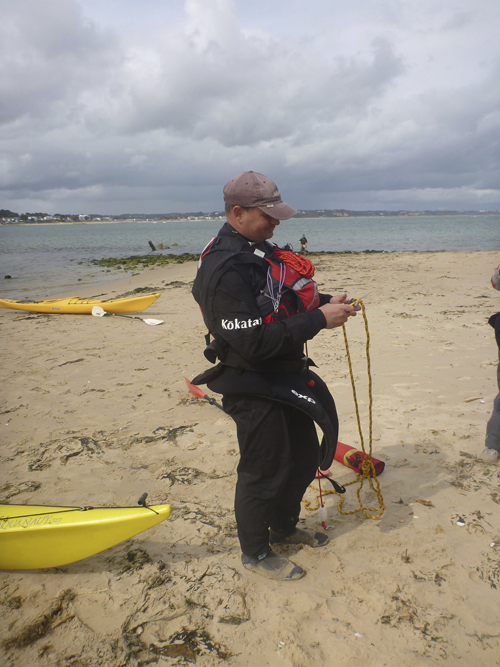 Mark talks about tow lines. 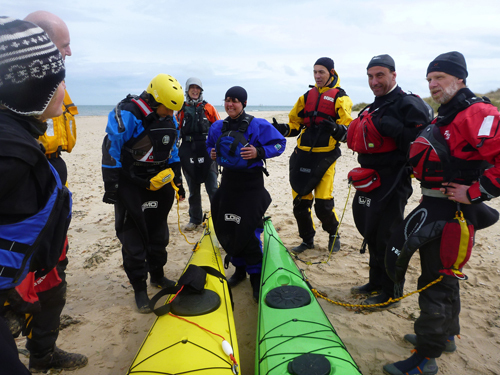 On Monday we headed north to Liverpool to present for the Liverpool Canoe Club. The presentation included the Greenland National Kayaking Championships in 2008 (Qaqortoq, Greenland) and 2010 (Nuuk, Greenland) as well as an expedition that we guided in East Greenland in 2012. 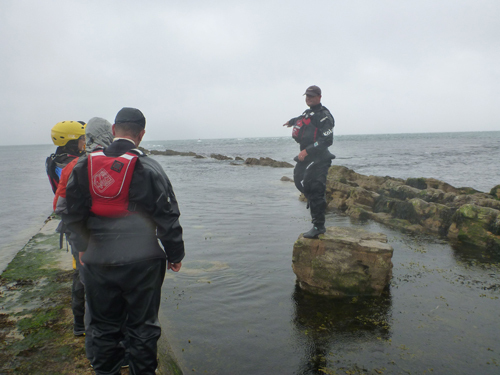 Discussing where to attach the tow line. Working on some handy knots. 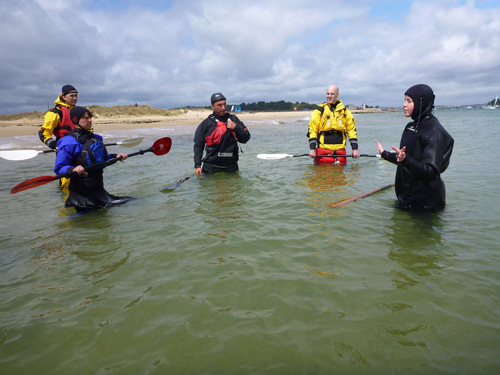 It was wonderful to meet so many enthusiastic paddlers at both events, and we look forward to seeing you all on the water soon! 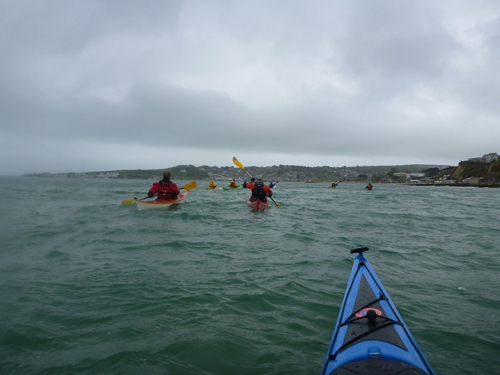 A nice paddle through Swanage. Talking about risk assessment and consequences.